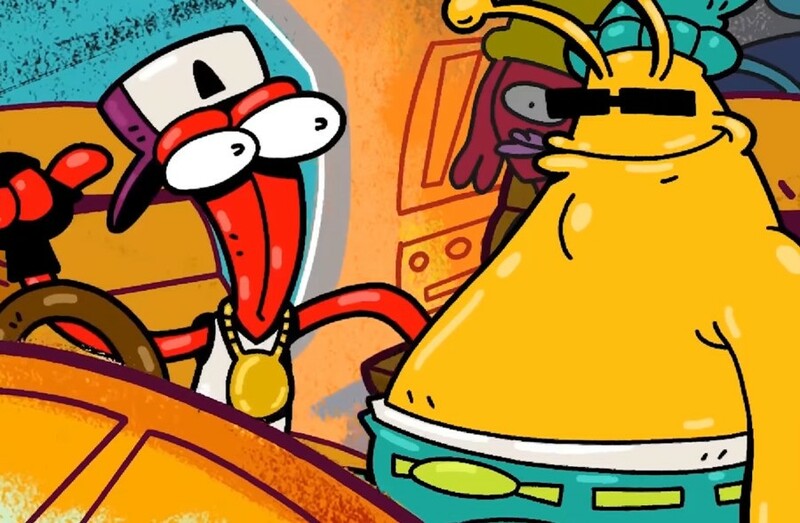 After multiple delays dating back to 2017, ToeJam & Earl: Back in the Groove is finally arriving on the Switch in both digital and physical form this March. If you haven't heard, Limited Run Games will be handling the release of the physical version. Have you been hanging out for this funky Switch physical release? Tell us below. First, love a collectors edition! If a physical version comes to Best Buy then I'll pick it up. If not I'll have to pass. Mmmmmmahhhhh Cool concept,funky colorful box tho Lol and a Board game all included! 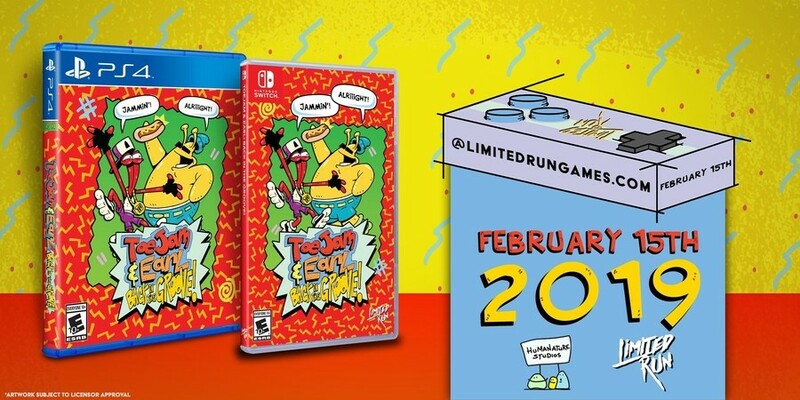 This pre-order could be enticing and a must for me because I remember playing toe jam & earl back on the sega genesis days.Was soooo cool playing that game,beavis and butthead,the simpsons and,bubsy game too was soo hilarious and fun to just spend hours on it,my childhood gaming days were so Great and Awesome cause I am remembering some games that are getting a sequal a decade later makes feel Joy as a Gamer. Already bought the digital version, it's sitting on my Switch home screen ready to play on launch day. Wait so Toejam and Earl was never a Sega IP at all? I don't see Sega's logo anywhere up there. So the series is actually own by Greg Johnson and them? Well that's something interesting. Collector's edition looks JAMMIN', tho will stick with the ALRiiiGHT standard edition. Played the original on the Wii VC for awhile, and loved it! So, yeah, I think I'll pick this up. The sad thing is, people keep paying the vultures at LRG for [removed] like this and letting them think it's okay to chuck a cardboard puzzle board and some pins together and call it a CE. Not a big TJ&E fan, but man that box art is great! @retro_player_22 SEGA own the rights to the first two games on Mega Drive and the third game on Xbox. Though the rights to the characters belongs to Greg Johnson. What a let down.... I've been really excited to see this Collector's Edition, but nothing in this is nearly as cool as the Sega genesis styled case with an imitation genesis cartridge that they gave away at a convention last year. Most of the things in here feel like tie in merchandise that you would buy for just a few bucks each at Target or something. The present themed box is a cool idea though. It's very in character for this game. A very 90s looking collectors edition, looks sweet. Though, I think I'll just settle for the standard if/when it comes to Best Buy. I appreciate the service Limited Run Games provides and have been happy with the overall experiences I've had with each successful transaction, but I have to say that they have **THE WORST** system in place for buying Collector's Editions. The last few times I've bothered to attempt to get a Collector's Edition, the item has sold out within seconds, often WHILE IT WAS IN MY CART. I have no idea why so many online storefronts don't give their customers a limited amount of time to keep an item in your cart while you're checking out. It's like if I went to Best Buy and was standing in line with the last copy of a game in my hand, then the person in front of me turned around, took the game out of my hand and then purchased it themselves. It's ridiculous. Please don't be awful... Me and my friends would play the original all the time. Nothing like hanging out in a hot tub with hula girls, sneaking up on Santa only for him to see you and jet pack off and finding a ship part only to go flying past it off the the stage as you had rocket shoes on. I'm really hoping this game turns out to be good, but the more I see, the more I hate it. I don't like the flash-style graphics at all and I feel like they're focusing too much on the whole "rap" theme. What made the original game great was that it was a parody of the current generation (the 90s) and had a lot of personality, style, and charm. I see this and I still see Adult Swim flash game written all over it. Nice, but I won't be envying this one, it's not that appealing to me. Plus, I'd like to see some reviews before I decide if I want the game itself. The bad news is every time a Limited Run Games release is announced I know that game won't be physically available on stores. It appears that the regular distribution of Wonder Boy: The Dragon's Trap, with a good price tag and the possibility of using coupons in stores that allowed it, was an exception. I can live without this game, it doesn't particularly interest me. Looking at the collector's edition though, the offering seems a bit sub-par for LRG fare. LRG have had this unusual situation for their Spelunky run, where the standalone prints of the games sold out before the Collector's Editions, which people evidently were less keen on. 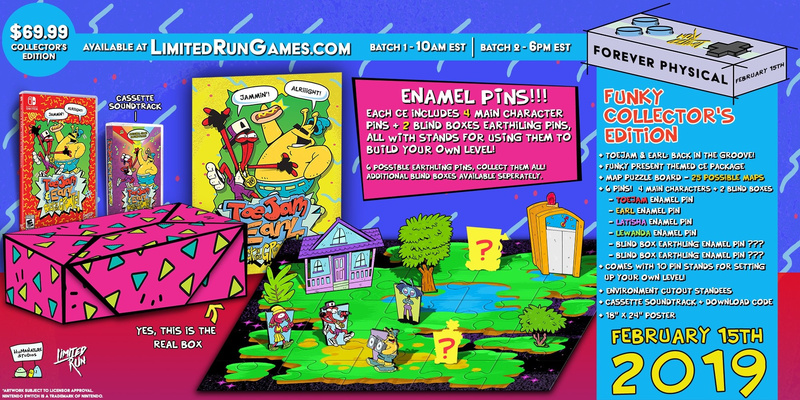 I loved ToeJam & Earl but I really don't like this new art style at all. So unfortunately its a pass for me. Here's hoping the Intellivision Amico ToeJam & Earl game will have a better art style. 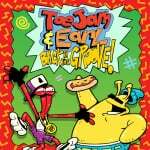 Loved ToeJam & Earl back in the day. Having said that almost 25 years later dunno if I'd still enjoy the game... maybe I'll just fire an emulator for 10 minutes and if I'm still in the groove (pun intended)... if so I'm all in - not just for collector's editions as I prefer the bare-bones physical editions. The LRG special editions are getting less special every time. Yet people are still snapping them up. This was one I was looking forward to but just standard for me. @RandomNerds Because lately Best Buy has been recieving Limited run versions of Switch games (Golf Story, Yooka Laylee) so if I can pick it up from there then great. @DTfeartheBEARD So you're not fundamentally against LMG? Just wondering because it seems people don't like them. I've never bought anything from them, but was considering getting this. I totally finished playing Toejam and Earl on the Genesis / Mega Drive Collection on my Switch like two days ago (the first game on that collection that I've completed so far). SPOILER ALERT: it's not quite as fun playing it alone as it was playing it with a friend as a kid, but it was still jammin' overall. At any rate, with that that game is fresh in my mind, this new game is suddenly looking super enticing... and if this limited edition isn't hideously expensive, I may very well be tempted. Oh wait it says the price right there... and... man I want that puzzle, but still... that's a lot of money. The CE looks nice and all, but it's just full of useless junk, and the inclusion of cassettes in these LRG CEs is so idiotic. If I wanted downgraded movies/music on crappy quality cassettes or VHS, I could just do that myself. And it's not clear whether the downloadable version is lossless or not. They ought to at least throw in a CD. Surely they would be cheaper to produce than friggin' long-obsolete tape. Does this have LAN or direct co-op between two Switches? Hope so. @RandomNerds it's not that, the game just isn't very important to me. If I can walk into Best buy and pick it up easily then great. If the game is limited to 5000 copies or whatever then I'll pass. Simple as that. @DTfeartheBEARD AH got it, thanks for clarifying. What if I just want the physical copy without any of the other junks, is there a non-Collector's Edition? @retro_player_22 Yes, there is a standard version too. It's shown next to the PS4 version. Nah I'll wait for them to release it at Best Buy, with no shipping charges. "Limited Run." I dug it back in the day...sort of. Yet i played it months ago and absolutely hated it. It was an ugly, confusing terrible controlling mess. devs are banking on Sega saucy nostalgia on a game that had held up horribly and THEIR creation looks like a glorified flash game. I am so excited for this title and somehow it bypassed the Nintendo tax. It seems the devs and publisher are not out to take advantage of us. The digital version only costs $20. This is how you do an HD update Nintendo, so pay attention. It includes fanfare and updates to gameplay as well. Props to HumaNature Studios for making the original game even better and adding online play for only $20. The Zelda remake later this year should also cost no more than $20, unless you add content, even then, please leave the Nintendo tax off this one and release it for $30. We don't need a 25-year-old game with simple graphics updates to cost full retail like Tropical Freeze. Don't Nintendo us on the price please.